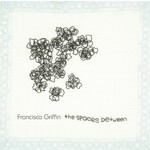 The spaces between is Francisca's first LP pressed in Vinyl. Featuring a bunch of Dunedin practitioners, including Gabriel Griffin (Sewage), Alexander Griffin, Alastair Galbraith (The Rip, Plagal Grind, Handful of Dust) Deirdre Newall (Del Girl,TPo8), Alan Haig (The Chills, Snapper), Mick Elborado (Terminals, Negative Nancies), Kath Webster (Look Blue Go Purple), Forbes Williams and Ro Rushton-Green (Sewage), the album has been a long time coming with its bones being laid down at The Anteroom in Port Chalmers, over Easter Weekend back in 2015. Griffin is perhaps best known for bass, guitar and vocals with Look Blue Go Purple, which formed in 1983 and released 3 EPs. Francisca went on to play in Cyclops and released her first solo work (Some From the Sky) in 1998. Of the single 'Falling Light', Ian 'Fishrider' Henderson said it had "the kind of freshness and instantly recognisable light and airy guitar tones of its place of origins. Psychedelic folk perhaps, Southern NZ style, and in some respects as reminiscent of David Kilgour's solo music as it is of Look Blue Go Purple."